To make things a bit more interesting, I’m going to try and create more posts in micro “metropolitan area” bundles, to better illustrate situations where one mall killed another, or where one mall works as an ancillary of another. While we ultimately would like to fill in much of the country, that’s going to take a long time, and I think this might be an interesting way to try and present some of these malls to people who are unfamiliar with them. The former Taunton Mall (more recently known as Mill River Place) is a 180,000 square foot, enclosed shopping mall located near downtown Taunton, Massachusetts. 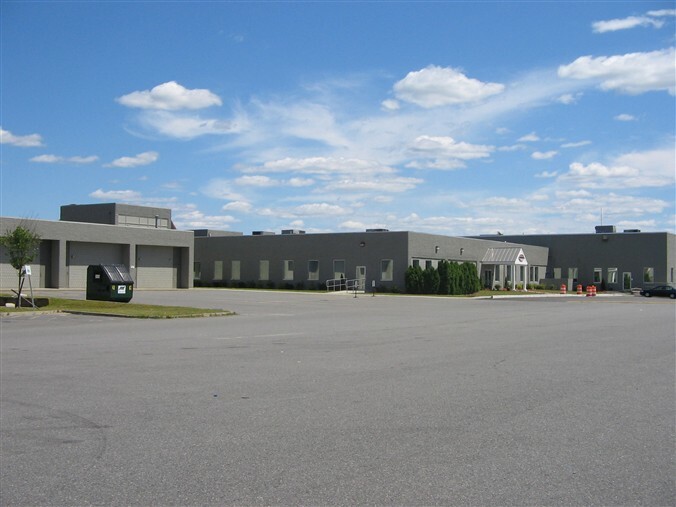 Taunton, like many outlying New England cities, was an industrial revolution powerhouse known for its manufacturing industries (in this case, silver). By the latter half of the 20th century, these industries had declined and many cities like Taunton were desperate for renewal efforts, and this small mall is a textbook example of one of their attempts. Built as part of a mid-1970s (1976-78) urban renewal project, the Taunton Mall displaced several blocks of the city’s High Street neighborhood that were demolished due to blight and crime. I never visited the Taunton Mall when it was “thriving,” but its death came swiftly and suddenly in 1992. The 1.2 million square foot Silver City Galleria opened about 3 miles to the southeast and offered far better freeway access. 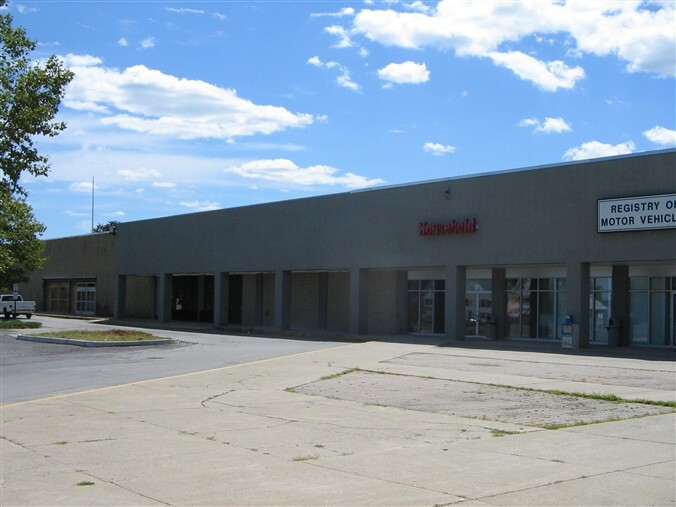 The tucked-away Taunton Mall stood no chance, and lost both of its anchors–Bradlees and Sears–to the new mall instantaneously. A junior anchor, House of Fabrics, also relocated to an awkward, outdoor space in the new mall where it would last only a few years. The Taunton Mall was converted to Mill River Place not long after. 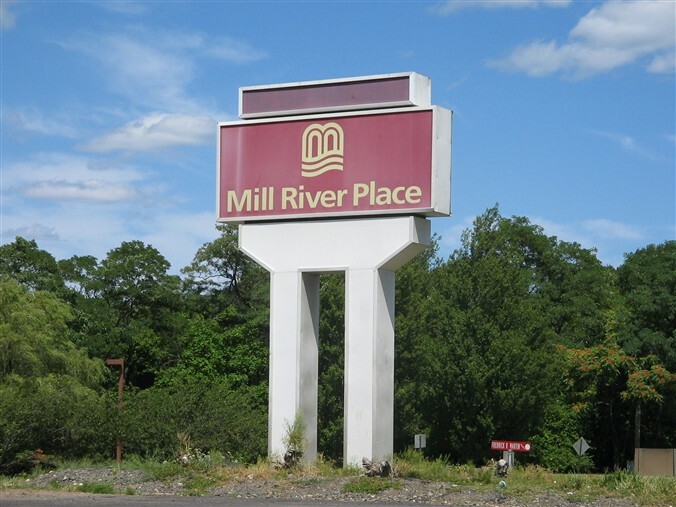 Mill River Place still hosted a few of the mall’s original tenants (in particular a Chinese restaurant), but it was converted mainly to office users, with a medical center taking at least one of the former anchor stores. When I first visited the interior of this mall in 2000, the corridors were open and it was bright, clean, and fully stocked with office user tenants. However, on a revisit this past Sunday, I found a different scene: the mall appears to be shuttered, though I can’t confirm that it isn’t just closed on weekends (I’ll try and return on a weekday sometime soon, if I can). It seems most of the tenants are now exterior-facing, and I was able to discover a plan (which I’ve seemingly now lost) to turn to the center into an outdoor office park. I can’t tell if this conversion has already been completed, but I sure hope not: the poor place looks like hell about now, and several homeless people had set up camp in the parking lot. The Taunton Mall was perhaps too small and bland to be loved or even remembered, and its location far off highways meant it really only ever catered to the population of Taunton proper, with a population of about 45,000. 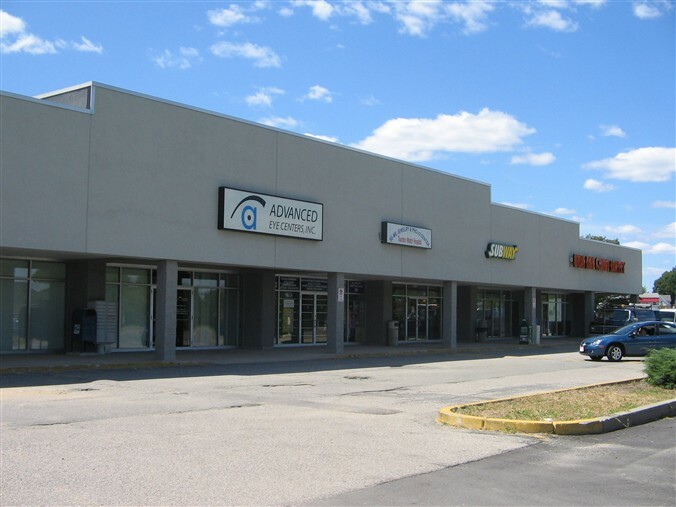 If you have any memories of when the Taunton Mall was thriving as a retail establishment, please share them.Next time I’ll tell you about the behemoth that swiftly did the Taunton Mall in with a single blow. I read that there was a bradlees (60,000 sq.ft.) until 1992 when it moved to the mall and stop and shop was here. 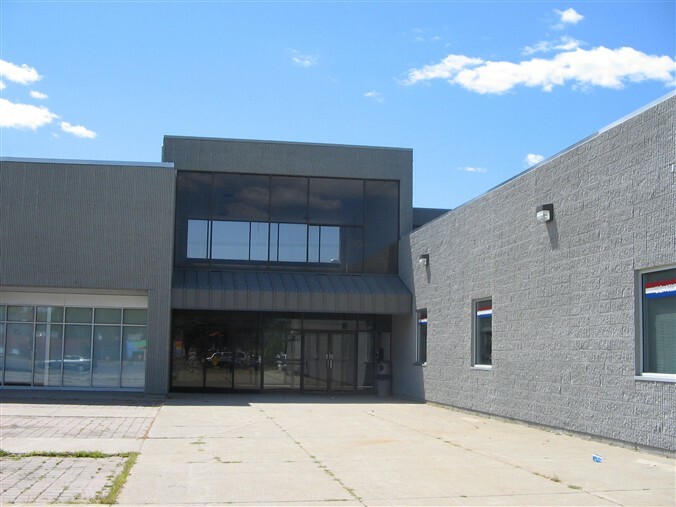 bradlees became stuarts from 1993 and closed in 1995. Where stuarts was, is now save a lot. And there is a subway, and a Chinese buffet. For years this place was vacant many people forgot it was still open. But now business is starting to come up again. Spent many afternoons at the Mall, used to walk from the neighborhood behind the mall. In the 80’s it was a great place with a record store, sporting goods and bradlees. I visited Swansea Mall today, and seems to be doing a LOT better than just a few months ago.. There were maybe only 7 vacancies, and Old Navy appears to be going in where 5 or 6 shops were (which means that before the construction there were like 15 vacancies). There were quite a lot of people there for a Friday evening (plus lots of teenagers), so I think that Swansea can officially be taken off the endangered mall list (not that it was, but it appears on http://www.Deadmalls.com ). I am 32 and grew up in Taunton. When I was a kid in the 80’s the mall was the place to go. We bugged our parents to go.. Later on in the 90s, It housed the DMV. If I remember correctly a small tobacco shop. When I was in my late teens to early 20s, it was a hang out for not the best crouds.. I now live in Shirley, MA. I really miss when I was a kid and that was the place to go… I often go to visit family in Taunton and drive through to show my kids. “Hey daddy used to go here and there.” But it saddens me when I go back it seems all changed.. Makes me feel like I never been there it looks so different in some areas. Well enough babbling.. Hope this kinda helps with the transfermation of the mall..
You turned his jaw into a chandelier? hahaha what? what ever happened to the Taunton Cinemas?? Taunton cinemas closed about 15 years ago. i used to go to the ill-fated mall in the late 80’s. i don’t remember a sears being there. there was a ‘cool’ record store there for a while. i remember a drug store (rite-aid?) in there, a hallmark, caldor, and cherry&webb. i’m forgetting what else was there. i think the swansea mall is hanging in there. The record shop was Side One records but everyone bought cassettes for around $8 a pop and you could get some pretty swanky iron-on transfer T-shirts at Top-O-the-Town! I remember watching it being built when I was at Cohannet School across the street and then spending many afternoons there. It was anchored by Stop&Shop and Bradlees and there was a Pondersoa Steak House just outside. Inside was an externsion of Lorenzo’s (Middleboro Circle) Italian restaurant, Bliss Creamery and several smaller stores. Cherry and Webb was very popular for Women. Some years later the mall was extended out the back and housed several small mom-and pop type local stores. I think there was a fabric store as well. Taunton Savings Bank opened a branch inside….it was crushed with the opening of the SIlver City Galleria but it was clearly in the throes of death as a retail center well before 92. At the end near the temporaly Taunton district court ( Old Cohannet School) It was Bradlees then became stuarts and was vacant for many years now there is Department Of Youth Services, Childhood & education, Save A lot, Aarons Furnite, Planet Fitness, Household Finance, Registry ( All those business took over what Bradless/Stuarts used to be) Then the main part of the mall where there used to be the main entrance turned into Armed Forces, Advance EyeCare, SeMe Jewerly, Subway, and now a vacant spot where ( Wok Inn Chisnese Buffet/Steamers Bar & grill once was) Then at the other end of the mall where Dunkin Dounts is- where the old Stop & Shop used to be is now Morton Hospital physicans, Kidney Center, & A conseling place in the back. The whole mall has been done over inside and out and has turned around a lot. There are some vacancies but deff turned around just like how there used to be bradless/stuarts, stop & shop, Cherry & web, Creamery, New England Bagel, Radio Shak,Big Wong, Dels…Alot has changed since the old days!! Oh Ya there used to be a brooks ( were the vacant steamers stands) but there wasnt a caldor… I was born back in the day when all of the stores were open to remember but was working there when all there crap was left behind still inside!! I remember Bradlees on one end and Stop and Shop on the other. I remember a SoFro Fabrics where I got my home ec. materials. There was a Rite Aid and a Lindys Woman (plus sized womans store.) SeeMee jewlery has been there forever. I remember buying Esty Lauder stuff at Cherry and Webb. My son got his first haircut at Dels. Side One is where I bought my first 45 “Slip Sliding Away” by Paul Simon. Remember the Joke Shop? Fake puke, dog crap etc. The T-Shirt store where I bought an REO Speedwagon T-Shirt! Bliss Creamery had the best tuna on toast sandwiches. Then I remember Stuarts after Bradlees moved to the Galleria. I bought a fake xmas tree at Stuarts! Now we have Save-A-Lot grocery stores, DMV, Planet Fitness, Arrons Rents, U.S. Army Recruitment Center, SeeMee (yep still there) Subway, Advanced Eye Care, a vacant resturant which was lastly called Steamers. 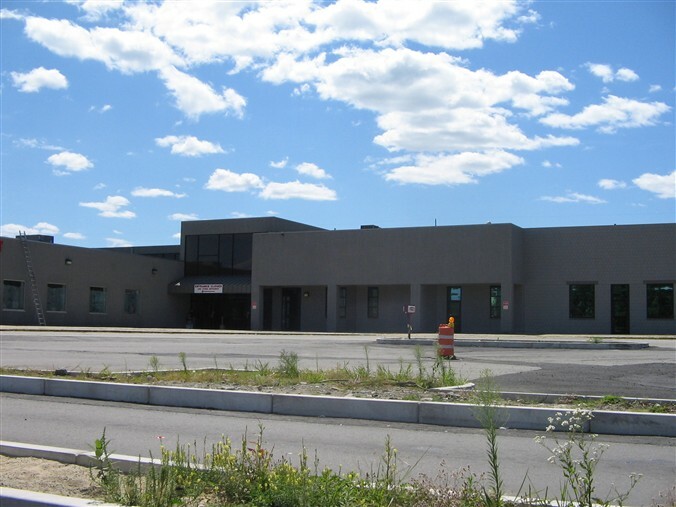 There is the Taunton Kidney Center (dialysis place) Several MD offices, Community Counseling of Bristol County, and the newest is a child in crisis facility. I have to say they’ve used up the space well and it isn’t another vacant shopping center with broken windows, rats and homeless people. Joke World. Sort of like a cross between a mini Spencer Gifts and possibly a head shop (I don’t remember that for sure but that was my impression as a youngster). The owner was a grumpy woman who really seemed to hate kids. When it was thriving? This mall was never thriving. My parents took me to this mall many times from the mid 1970s to 1979. It was always on a Saturday early evening after my father got out of work. This place was always deserted. Half the stores were always vacant. This mall was born dying and never quite survived to adulthood. Sure there were some relatively successful stores after all Taunton is a decent sized city and people from nearby communities did visit the mall but it was never especially busy. We always got a parking space within a few feet of the building. We are a small sign company, we specialize in channel leter. Today I was at River Place Taunton and see your sign is in poor condition, if you are interested in replacing or repairing it. Please send me mail if you need an estimate or contact with you in time. Thanks and sorry if this route is not the most appropriate.